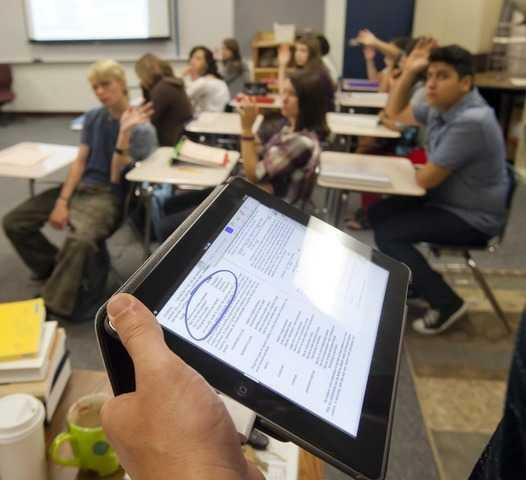 Idaho teachers will still get about $38 million in merit-pay bonuses this year. That’s despite voters' rejection of public schools chief Tom Luna's education overhaul. Idaho teachers will still get about $38 million in merit-pay bonuses this year even though voters' rejected three education laws. The Idaho attorney general says the failure at the polls shouldn't affect the payout. In an opinion made public Monday, deputy attorney general Andrew Snook wrote that teachers who qualified for the bonuses earned them for the 2011-2012 school year — before Luna's merit pay law was voted down Nov. 6. Voters broadly panned Luna's laws, rejecting not only the merit-pay provisions but also limits on collective bargaining and a $180 million contract for laptops for high school students. At a press conference Monday, Luna told reporters he hopes to resurrect a portion of his "Students Come First" package during the 2013 Legislature, including merit pay. Idaho voters delivered a resounding defeat to three new education laws. Voters said no to limits on teacher bargaining rights, to creating a pay-for-performance system and to ramping up classroom technology. Opponents were successful, in part, by billing the laws as an attack on teachers. When the first results came in, the Vote No campaign brought out the bagpipes. On November 6, voters will decide if Propositions 1, 2 and 3, Idaho’s controversial education laws, stay or go. In 2011, the Idaho Legislature passed a package of three laws that made sweeping changes to the state’s education system. The laws were introduced and championed by Superintendent of Public Instruction Tom Luna and are known as Students Come First, though opponents call them the Luna Laws.